Did Knork Make a Better Fork? How do you improve the fork? Well, Knork took a stab at this, and when we were first served an entree accompanied by a Knork dinner fork, we noticed something different about it, and had one of those double-take moments. If you have ever seen anyone try to eat pizza with a typical fork, you may be able to appreciate the design Knork sought out to improve with their fork. 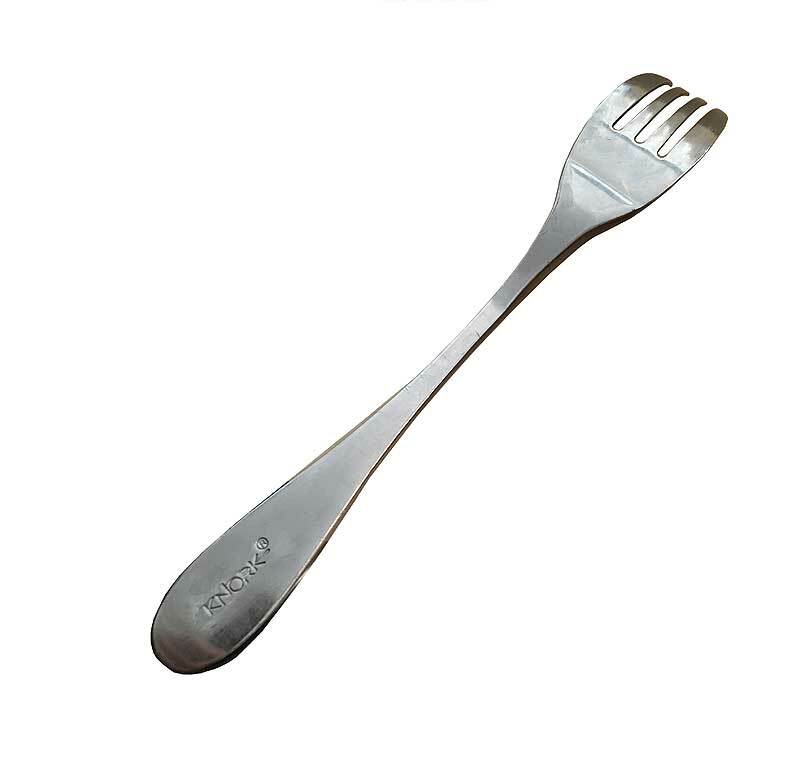 The story goes that the folks behind Knork came up with the design after watching customers at a pizza shop struggle with their forks. Cutting things like pizza using a typical fork with a slender handle is awkward. You might be thinking, well, just use a knife! But not all Americans take that to heart, and not all businesses want to provide the extra flatware. 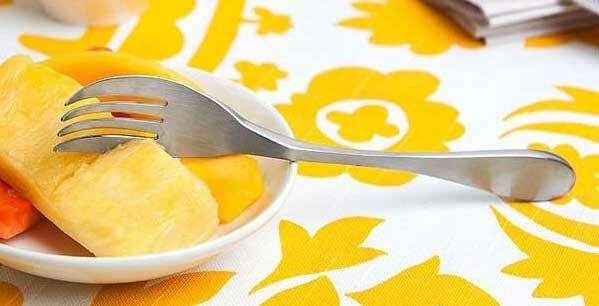 So, you’ll typically find Americans cutting awkwardly with forks that are not designed for cutting. Knork’s approach is to design a fork with a straight design from handle to prong that provides the right leverage, combined with an extra wide platform for your finger and nicely curved prongs that rock for cutting. The result is a fork that feels balanced and perfectly normal when cutting, allowing you to cut a piece of pie, dessert, or even chicken or meat with ease.